Is your business advertising on Facebook? You're certainly not alone - Facebook has today announced that they've reached 3 million active advertisers on The Social Network, and growing. The announcement is a major one for Zuckerberg and Co, and one that will be cause for concern at Google and parent company Alphabet. 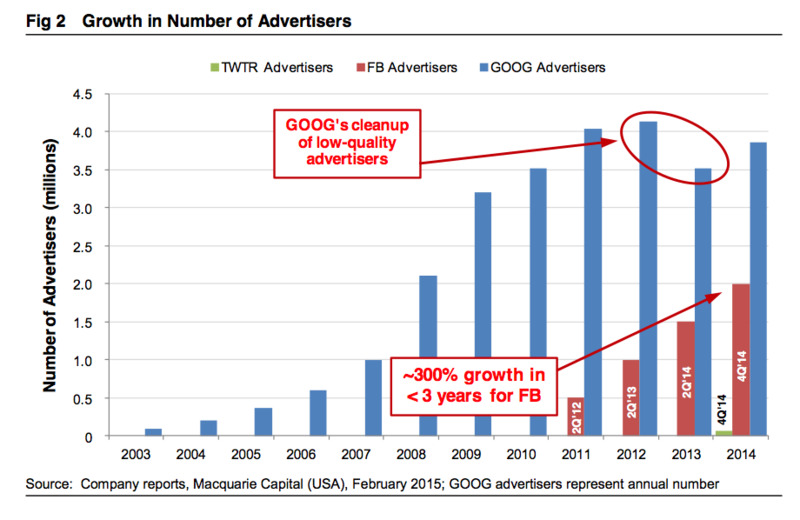 As exemplified in this chart from Macquarie Research (published last year) the growth of Facebook's ad business has been rapid, and has the social giant on track to match, or even supersede, Google in the very near future. What's more, Facebook's noted that more than 70% of their advertisers are based outside of the US. That's also a significant point - Facebook's looking to branch out and source its next billion users, with projects like internet.org and Aquila (solar powered, satellite drones) paving the way for greater connection and expansion into less-serviced regions (according to the internet.org website, 2/3 of the world is currently not connected to the internet). The capacity for Facebook to grow outside of the US is a key element within the company's wider goals, both in regards to ongoing opportunity and market dominance - Zuckerberg himself recently noted that he's looking to have 5 billion users on Facebook by 2030, which would equate to more than half the estimated global population by that time. If Facebook even comes close to achieving that target, the amount of user data to which they'd have access would be simply staggering - already, Facebook knows you better than your friends, your family, even your partner. Imagine that understanding at an even grander scale and you get a sense of the massive potential of Facebook's surging advertising business. Given this, Google has good reason to be worried - their long-held position of power now looks to be under very real threat. The fastest growing region for Facebook's ad business is South East Asia, with Vietnam, Egypt, Indonesia, Peru, and Turkey all recording the biggest growth. 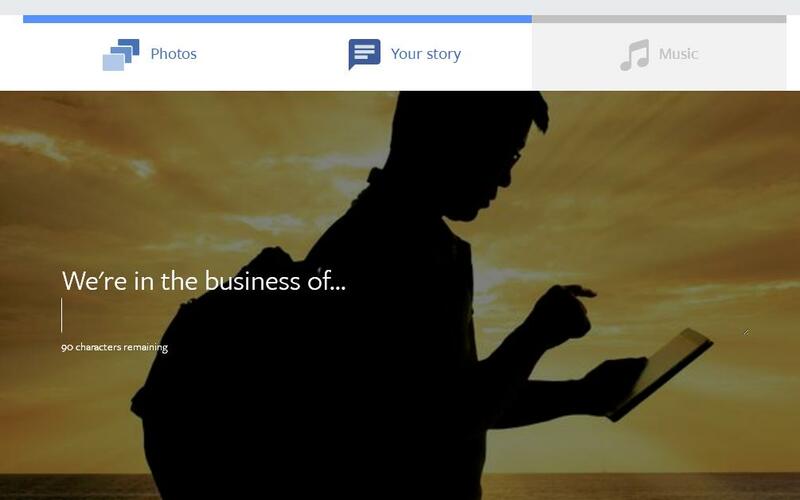 To celebrate reaching the 3 million advertiser mark, Facebook's launched a new tool to help businesses tell their brand story in a simple and engaging way. Called 'Your Business Story', the tool enables any Facebook Page to create their own video celebrating their achievements, using content from their Facebook Page as the source material. 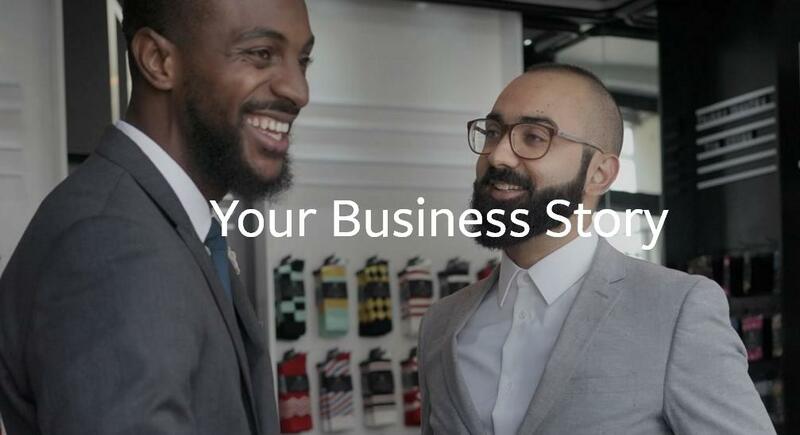 "We know it's not easy for many businesses to create ads and content, so we created a simple tool that helps them tell their business story to their customers. 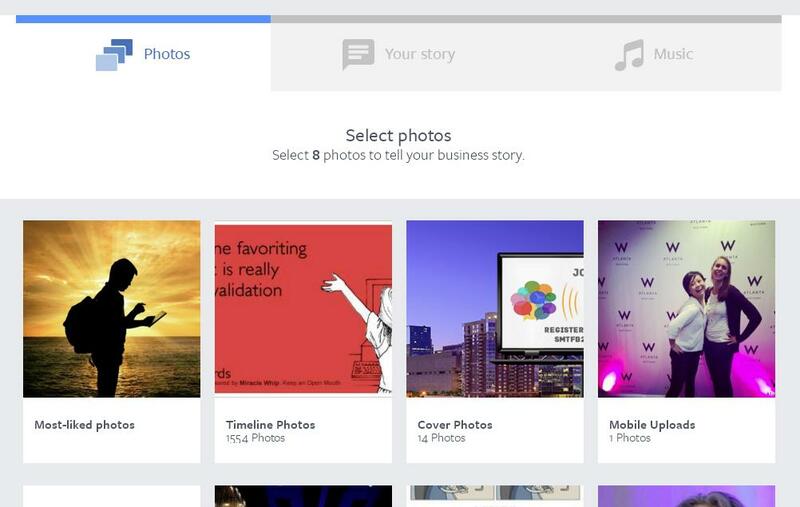 As part of the tool, businesses are able to upload their photos from their page, overlay with music (licensed by Facebook) and share "what they are in the business of" doing." The process is pretty straight-forward (though it did take a moment to load on each step for me) - head over to the 'Your Business Story' Page and you can click on a button which says 'Create My Video'. From there, you choose which of the Facebook Pages you manage that you'd like to create the video about, then you're taken to the next stage, which is selecting relevant images for the video. You select 8 photos for your compilation, then you're taken to the next step, which is telling your brand story (in 90 characters). You then select your Facebook-licensed music track (there are four to choose from) and that's it - Facebook puts them all together into a video collage, similar to their Year in Review posts. Once you've viewed your video, Facebook gives you the option to post it to your Page - make sure you're 100% happy with it, because there's no other review step between here and uploading it as a new post. We're in the business of exploring the possibilities of social media. It's a simple video option, but given that video content on Facebook generates the highest amounts of both organic reach and engagement, and many smaller businesses, in particular, have difficulties in conceptualizing and creating video posts, it may provide some with a new option on this front, and it's worth exploring either way to see what you can do. Also, it's free, both of cost and obligation. It's somewhat amazing to see how Facebook is changing the game in online advertising. Whereas Google has intent data, based on all your many searches, Facebook has more, in the form of your interests, your details, your interactions. In this sense, Facebook truly is the greatest source of customer insights and data we've ever had - there's so much data there that no one fully understands the extent of how it can all be used, how we can tap into those information streams to change the way we approach our outreach efforts. But those efforts are changing. The capacity to track potential customers based on evermore intricate details and nuances is altering the way we think about how to use such triggers. Given the capacity of Facebook's insights to understand every detail about us, there's undoubtedly huge potential for all brands to use that information to establish clearer understandings of who their customers are, what leads them on their path to purchase, and at what points in that chain they should get in front of them (and what, exact, messaging they should use for that purpose). The complexity, however, is that no two businesses are the same - you have to start using Facebook as a research tool in order to ever get to any such level of understanding. But it can be done. Marketers and advertisers everywhere are working it out with evermore intelligent data tracking and behavioral correlation measures. And as such tools evolve, so too does Facebook become a more important and more valuable platform for such purposes. Zuckerberg and Co. have three million advertisers now, but I'd be willing to bet that number continues to increase as more businesses develop their knowledge of Facebook data, and more consumers continue to use the platform as a key connective utility within their day-to-day lives.